Oh my goodness! Aren’t baby feet the cutest!? I am so happy when I have a baby model that will wear my crochet shoe creations. (My sweet little niece). They just convey the message so much better. 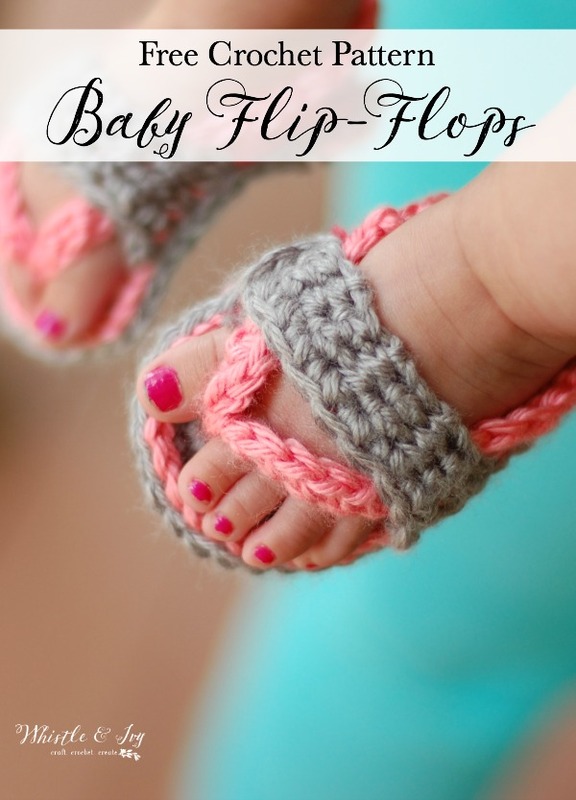 Even though these crochet baby flip flops are adorable and pink, they would definitely work for a baby boy as well. And, these actually stay on quite well; my niece had them on her feet for several hours. This is so important when designing baby shoes. I have actually had to scrap several adorable patterns because they just didn’t stay on little baby feet. If they don’t stay on, what’s the point!? Gauge: instead of working a gauge swatch, use the small sole as the gauge, and adjust your hook accordingly to get the correct length. With second color use a loose tension and sl st all around your sole piece. See Photo 1. Tie off. Find the middle of the heel. 2. Ch 1. Sc in same st. Sc 29 (across the heel, up the side and all across your toe piece chain.). Join with sl st. Tie off. Start with an 8” tail. This is a separate piece. 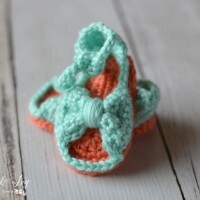 Like Crochet Baby Sandals? 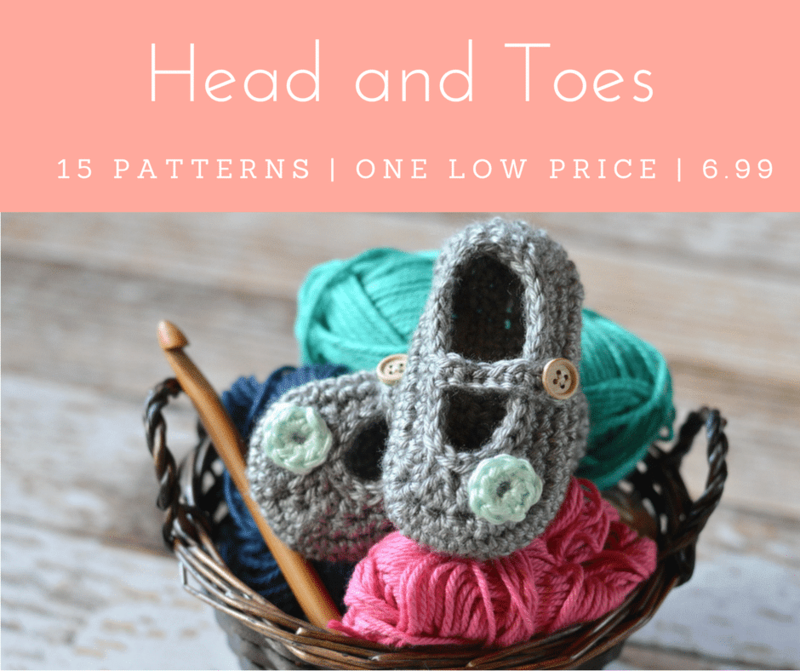 You might like these FREE crochet patterns, too! Using either tail of your toe strap and a yarn needled, sew the strap in place, going in and out through both loops in the end of the strap and both loops on the side of the sole. You can place the strap up or down the shoe to suit yourself, but I placed mine directly in front of where the connector toe piece connects with the sole. To attached the toe piece, put about 8” of yarn on your needle. For the right shoe, find 1 st to the left of the middle dc in the sole (for the left shoe, find 1 st to the right). Wrap the yarn over and under that dc st to give it a firm hold, (but keeping the yarn loose) going around that stitch with your needle and around the toe piece. I do it about 3 times so there are only 3 pieces of yarn between the toe. Tie firmly on the bottom to secure it in place. You might want to think about making them non-slip! Here are 7 tried and tested methods! And make a pair for YOU too! 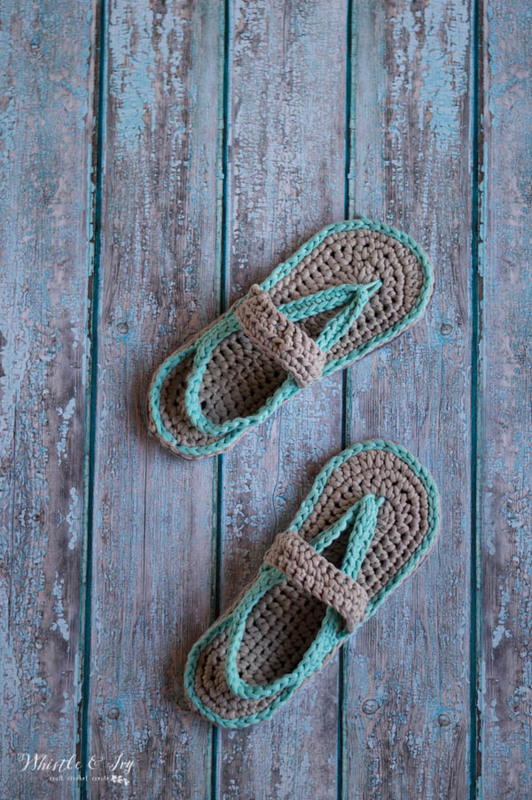 Snag the pattern for women’s crochet flip-flops here. Oh my goodness!! I didn’t read them ALL, but holy moley! I’ll keep this comment short&sweet….. THANK YOU for posting a FREE & ADORABLE pattern!!! I can’t remember ever really reading the comments left on a post, but for some reason, this time I did, & for someone posting a pattern FOR FREE, & contributing a bit of sparkle to this world…. well – s.m.h.!! I’ll stop there.. Again, Thank You!! Totally agree. The rude comments from the entitled are absolutely mindboggling! So sad, and without appreciation of the time it takes to do a tutorial PLUS a free written pattern. Unfortunately, it happens quite often. Thank you again, Bethany. Hi! I love your pattern! I wanted to know for bigger sizes like size 5 or 6 how many chains should I do for the strap? The skips are around the heel. Be sure to watch the video! ANother question – your pattern says to make TWO soles and TWO toe straps, but in the video you only make one of each. Which is correct? yes, two soles and two straps. One for each shoe. please help with pics of how to attach the toe piece to the sole. I don’t have pics, but I have a video! I am a bit confused about the needle size you suggest. On the website and on the tutorial it uses size F but when I printed the pattern the size needed is an I.
Oh no! That needs to be fixed, can you send me an email and I will get you an updated pattern? I suggest a size F, but you need to use the hook that allows you to achieve the gauge. Absolutely! This pattern was confusing to almost everyone, lol! Scroll down and just above the 0-3 months size you will find a link to youtube and an embedded video. hi! im new to making sandals and a girlfriend of mine would like me to make a pair for her daughter and she’s told me that she doesnt know anyone else to do them for her. i was wondering if you had a written instruction for size 12 and 15 month olds. she says her daughter is 9 months old, but she has bigger feet for her age. thank you! your help will be much appreciated! I don’t have a pattern for that size, I am sorry! You could try the larger size and use a larger hook and slightly bulkier yarn, the finished shoe will be larger. I suggest getting a foot measurement from your friend so you know what size to aim for. Thank you so much for posting the videos and written directions! I love these. I am new to crochet and these are great for me to follow along with and learn. They are so cute!! I love them! The first one came out a little small because I messed up my counting, second one came out much better but my daughter feet are a little too big for the 12 month ones so I just repeated the last step twice to make them big enough :). I love your website. I shared it with my friends! :) Have a great day! God bless! I loved these baby flip flops. They worked up so quick. They are so adorable. Thank you for sharing your pattern. Thank you! I’m so glad you loved them! Can you buy these on line? You can probably check Etsy! I do not personally make an sell these, I am sorry! Finally finished, had a little trouble with the body, had to watch video, it was because i was left handed, and i needed to go left from the heel. thank for sharing pattern. Glad you got it! You’re welcome! In the video on Crochet Baby Strap Flip Flop Sandals it says there is a sole video. where is it? Yes, it’s in the descriptions of the video. Where is the sandal baby flip flop sole video? The links is under the abbreviations. I don’t see a link for the video? The video is embedded, just under the “buy the PDF” graphic. Love these and would love to make them, but your site is way to clogged with ads and other junk. The page bumps around, lags, and freezes way too much. It’s too frustrating to try and get to the instructions and when you do it just keeps bumping you back to the top. Please consider de-cluttering. I was bumped back to the top of the page 12 times while trying to type this comment. It’s frustrating and a total turn-off! You are the first to complain. It might be your internet connection? The ads make this pattern FREE. Without ads, I would need to charge for everything on my page. I hope you can understand that I need to make an income for the many hours I spend working on patterns and giving them for free to my readers. This way, advertisers pay for the pattern, not the user. Also, I would like to add that people assume that ads make a page hard to load. This is usually not the case. This particular page is rather heavy with photography, if your internet connections is slow, it may be having a hard time loading the high-res photos. I am working on getting all my photos condensed without losing quality. It is time consuming! I am so tired of trying to be able to print a pattern. if you are going to share it then just share it I am so tired of downloading stuf into my computer to see if i can print the pattern. What color is used for the pink ones? It is called “Strawberry” by Caron Simply Soft. I don’t make and sell these shoes, I am sorry! Thank you so much for having such a beautiful website and easy to learn instructions!! I made some for my newborn niece, and they were just adorable!! I am sending everyone that asks about the cute flip flops to your website so they can all learn how to create these too! You are very welcome!! Thank you for your kind words! Hi I have a question on making the second sole. There isnt a video on it so do I make the second one the same way as the video shows? I don’t think it would look right if I did. Please get back with me when you can thank u.
yes, the soles are not shaped for specific feet, they have a round toe. Thanks for noticing! Saves me from having to ask! I often notice the tiny things! I’m glad you noticed. I have not watched the entire video. And just read over instructions. And would have noticed too! Thank you ma’am for whiting me back, and thanks for helping me . Hi my name is Destiny. I’m doing the baby flip flops and I got stumped on the body part. If you would please write me back on it and let me know where to start and how to do it . please and thank you cant wait to hear from you. by the way I love all your ideas. Sorry you are confused. I have a video, the link is right under the abbreviations. I have nailed this pattern with your instructions, but I always have difficulties with the strap over the toe piece. Any advice on how to make this easier for me? Hm, what are you struggling with specifically? I am from Holland and say thanks for the lovely pattern. I have a little bit of problems…cant find the video?? Can you please help me finding it? The link to the video is right under the abbreviations list. Ohhhh shame on me….didnt look very well did I? I usually get messed up with small changes! I absolutely love this pattern and have been trying to make it for my friend whose baby is about 9 mos old. I got to the part of where you attach the piece across the toe piece and when I sewed it on it causes the edges to curl up. Is that normal? No it’s not! You can make the strap a tad longer if you need, it shouldn’t be so short that pulls up the sides. I am new to crocheting, and I watched the video then went back and read the instructions and I have to say that I had such an easy time understanding it, maybe because the video helped and then the written just reminded me what was next. Thank you for this pattern and tutorial, Still working on the shoe, but can’t wait to finish it!!! You are very welcome! It’s a bit different than other patterns, so it’s challenging to explain how to make them. I am glad you got it! Thanks for your kind words! Such a cute pattern! Thank you for the video! I got the sole part down, no problem, but I was a little confused on the rest of it. The video explained it all perfectly!! Can’t wait to try them on my niece! Thank you for sharing your cute crochet pattern. Oh! I just saw the other replies! My question is answered. Now to figure out how to do it! Thanks again! So glad you are venturing out! 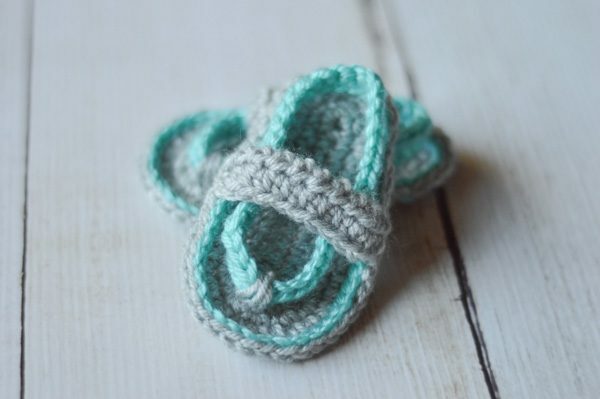 :) You can do the whole shoe in the same color, but you will still need to tie off, and begin a new piece of yarn, so you might as well do both colors. Does that make sense? Be sure to watch the video, then you can get a feel for the shoe construction. No problem whatsoever :) I’m glad you like them! I do not understand your new directions of turning the toe strap 90 degrees. I’m trying to figure out how to get one tail of yarn on each side, not the same side. Thank you for the latter , this is my only issue. Yes! I’m sorry, they will be on the same side, you will have to cut a second piece to sew the other side on. Please accept my apologies Vicky, I must have been tired when I answer this comment, and didn’t see which pattern this pertained to. YOU are correct, there is only one sole per shoes. I am so sorry if this caused confusion. Hi. Do you have a pattern for a toddler size. 12-24 months. A flip flop pattern or any pattern? I’m having a hard time making the second part of the body… I’m a little lost on that part. If you can email me and help me I’d be so greatful. Were you able to view the video? Any chance you have a similar knit pattern? I’ve been making these and have finally got the base part down and it’s neat and tidy but once I start the strap parts the sole starts to roll up a bit doesn’t / won’t stay flat like yours :( what could I be doing wrong ? – I am making the new born size ! I can’t quite picture what you are describing! Would you mind sending me a photo on Facebook or email? Could you email me this pattern, I can’t get it to pull up. I have to try this for my 4 month old daughter. She can’t stand wearing shoes. Thanks for sharing. Hi hun! I figured out what my problem with the rest of your precious baby pattern was!!! I was downloading to my nook…and all it wanted to give me was a bunch pic with your website on them..lol….SOOOOO when my cartoon lightbulb came on above my little head this morning and I downloaded to my laptop…..EVERYTHING IS CRYSTAL CLEAR AND I HAVE THE ENTIRE PATTERN THAT YOU SO GRACIOUSLY SHARED WITH US FOR FREE THANKYOU SO MUCH!! Wonderful! I am glad you got it worked out :) You are very welcome!! You are welcoem! And Yes! 4 sizes are included in the written pattern: 0-3, 3-6, 6-9, 9-12 months. beautiful baby shoe patterns. I’m a crochet fanatic, and have been for years. Glad you got it. You’re welcome! Hi! I have seen photos of these adorable flip flops everywhere (pinterest, Facebook, ravelry) and I’ve been dying to make them. I am a knitter normally, but followed my first crochet pattern a week ago, so I’m eager to try these. Thank you so much for offering your patterns!! 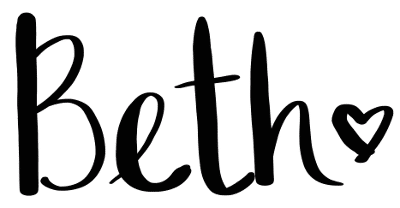 I have designed knit patterns and you are inspiring me to do more~ Thank you! That is strange! Try going up one more hook size. Have you made any of my patterns before? I’m having the same exact problem. Doing the 3-6 month size and I’m getting only 2 inches with an F. I’ve tried a G and H and still don’t get anywhere near the 4 inches. HELP! An H hook and yours are 2” long?! Send me a photo, let me see if I can see a problem. I’m having the same problem. I am doing the 3-6 months and they aren’t even coming out to 4″ using the next hook size. I’m going to go up another hook size tonight! 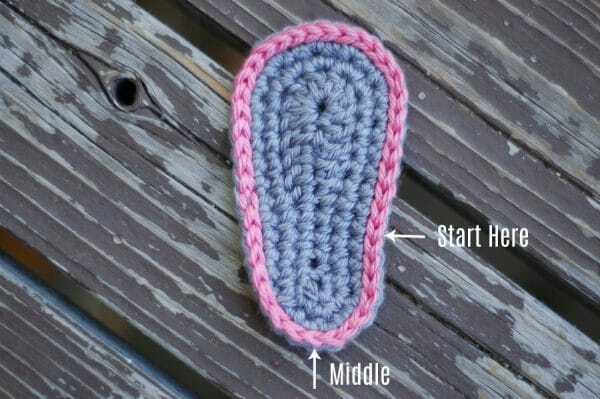 I’m making these awesome flipflops right now and your instructions are great. I noticed in your pictures it appears there is no beginning or end to your stitching. How are you hiding where you join and your tie off knots? A note (that may be obvious) – if you are left handed, you have to count to the left (instead of right) in step 5. Thank you Bethany! I just tie everything off on the bottom. I kind of talk about it in the video, but really the best way I have found is to tie a small, sturdy knot and seal the ends with a tiny dab of glue. Its seems less messy-looking than other ways! These are so cute!!! A friend asked me to make a pair for another friend’s daughter. I used a light pink and seafoam green. They came out adorable :-) and thanks for the wonderful video. I found it very easy to follow. These baby sandals are too cute. How can I make these for a 16 month old? The simplest way would be to use a bigger hook and bulkier yarn. I’m not sure. It would depend on what yarn you use and what your personal gauge is. An 18 mo old (depending on his/her size) might have a size 5 shoes, which would be about 4 3/4”. You will just have to experiment. Well written pattern, great little project! They are so cute. I used cotton and did the cross strap in a k1p1 rib. I took a pic but am not sure how to add it. Thank you! I bet they are so cute! You’re welcome! It’s true, I am hoping to inspire people to take up crocheting! I have been inspired! But making these adorable little flip flops is a bit more challenging than I had expected. I am very grateful for the videos. As a beginner (also a fastidious perfectionist), they are what has made it so I don’t give up from abject frustration. Thanks and keep up the good videos, lots of explaining of basics is good, very good! In your written patterns for the flip flop you have the number of stitches that one should have after each step in the 0-3 month sandal sole. I have practiced and practiced trying to make the sole for the 3-6 month flip flop, but each time I get a different stitch count when I’m finished. Could you please tell me how many stitches there should be in each step of making the sole for the 3-6month and 6-9 month. Thank you! Have you viewed this video? Thank you for doing the video, I am a visual person . I cannot wait to try this pattern. I cannot wait to try your pattern.. must now go shopping for yarn and hot glue.. :D .. thank you so much for making your patterns available for everyone. these are fantastic a brilliant idea. First of all, these baby sandals are ridiculously cute! Second, if one more person forwards me the link to your blog…! Seriously though, I’m going to have to make dozens of these now. I second that Lisa, love all her patterns. Nicely written and easy to follow. Finished products are very adorable. Love them all !!! Unfortunately no! I don’t know how to knit. I am a knitter too, but it was super easy to crochet these little flip flops. She has a step by step video and for the parts where she’s a little too fast for beginners you can on the links for the individual stitches, there’s a video for those too. She is very detailed with the videos, they are GREAT! I made a pair last night and it only took a few hours to get down the stitches, after that it was a snap. They are really fast to make after you get the hang of the stitches. You should try them! 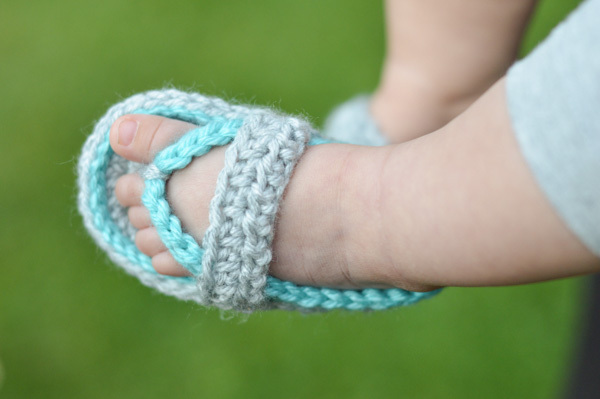 I just wanted to reassure you that you will want to make the baby sandals in the crochet pattern, so the sandal is a little sturdy. I do both and I reassure you that crocheting is much easier to learn than knitting. If you get on the internet and ask how to crochet, there will be self help lessons on videos. If you spend a morning or afternoon, just practicing, you will learn crochet. Hope this was encouraging. Have fun! Thank you for the free pattern!! Do you have a pattern for 12-18 months? My daughter is 16 months and I want to make her some, these are too adorable! My niece would love these for her little one (8 mo.) but is concerned about slipping (they have hardwood flooring) so would be awesome to have some tip to make slip/proof! They have a spray you can put on the soles of yarn shoes/slippers. I don’t know what it’s called, but I used it in the past and it works good. Hi Bethany, I love your shoe patterns, they are adorable. Is there any way to make them non slip for toddlers just starting to walk, I have to take them off her to stop her slipping. I have personally never made them non-slip, but I have heard other’s suggest using puffy paint or hot glue on the bottoms. Another reader also crocheted a separate piece from hemp and attached it to the bottom. I hope this helps! While in Florida this winter I learned to make bali slippers. The bottoms are made with a non skid fabric which I purchased at a quilt store Quilters Quarters at Zephyrhills. I bought extra because I crochet warm footies for elderly people who have mobility issues. I buy shoe inserts at $Store or Walmart, cut them to desired size, the cut the nonskid a quarter inch larger. Do a blanket stitch all the way around non skid, tack glue the insert to inside of it, then sew with yarn needle to the sole. It works great!I’m now wishing I had bought more of it but I think I saw it online and it comes in different colors. Hope this helps-I am 68 and still learning new things-I love it! I found online that you can use acrylic latex caulk to make them non-slip. Hope this helps. Hello, your little shoes are so cute I am a little confused on how to do the sole for the flip flops. Is there a way you can make a video on the sole or something? Thanks! Nope, in the video I do it 5 times as well. haha! Thanks :) The ends are a bit of a nuisance, and its really impossible to hide them completely. For the sl st edge, I stitch it back and forth through the back side of the sl st on the sole. It’s not perfect, but not terrible! The other tail aren’t too bad, the top part is easier to hide. Hope this helps! Hi Bethany, I’m making these for my cousin’s baby. My question is that when I go to make the heel strap, it says to find the middle of the heel and count 8 (3-6 months) sl st to the right and join, then to make the chain and skip 9 sl st and join again, but when I do that it, I end up joining the chain to the 3rd sl st from the left of the middle on the heel. If that makes any sense? Did I mess up or do I need to skip a couple more sl st before joining? Are you working 2 sc before making the chain? Bethany, thank you for sharing your pattern for these adorable little flip flops!! I’ve just had surgery on my left hand, so unable to crochet right now. As soon as I heal up, I’ll be making a pair for my great grandbaby!! She’ll love them!! You have incredible designs! Thank you for sharing!! Hugs from Choctaw, Oklahoma!! You are welcome! Thank you so much for your sweet comment! I means so much to hear that my patterns are being used :) Thanks for stopping by, and I hope you have a speedy recovery! 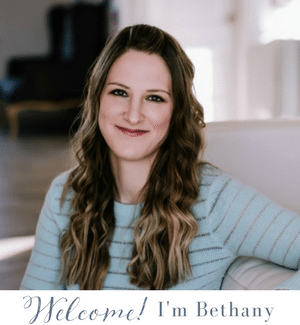 Congratulations Bethany on your new baby girl!! She’ll have the best dressed little tootsies in the world!! Enjoy every second and Happy Thanksgiving!! I live in South Africa, so can’t find the same wool you used… will it be fine if I use a double knit wool and 4 mm hook? I think it might! Make your sole and double-check the length to make sure the sizing is correct. You might need to adjust your hook, but that yarn would probably be very close. Just wanted to thank you for producing such a cute pattern. I had a friend link these to me on Facebook and asked if I could make them for a niece of hers and they were just a blast to make. They’re so easy and quick to whip up and all of my coworkers that I have made them for just fawn over how adorable they are. Thanks again for a wonderful pattern. I look forward to adding little buttons and bows to the straps as I make more. First off, I just want to say this was really fun to make, thank you! A couple of friends at my church came upon this pattern and asked if I could make a pair for their newborn boy, since they are Seattle Seahawks fans, I took and used Seahawks colors to make. They absolutely love them. I fact, a few ladies at church fell for them and asked if there is a way to make adult sizes for them. I’m only just starting to learn how to adjust patterns to fit, so I was wondering if there is a way to adjust the soles for bigger sizes? Everyone has a unique gauge, but pay attention to the suggested yarn and hook for best results! PLEASE SEND ME THE PATTERN FOR THE PINK AND GREY FLIP FLOP. Would you please tell be how to find a pattern for the sole that explains the sizing and what hook size to use, etc? Really appreciate this pattern. Thanks! I love your patterns! I started crocheting when my baby girl was born last Sept. I’ve made so many shoes following tutorials from YouTube that would just not stay on her feet. So far everything I’ve made that you have done stays on great! I just made a pair of these cute sandals in yellow and pink to match her birthday dress. Thank you so much for sharing!! Just started my first pair of flip flops having alittle trouble with the strap between the toes, but I’ll keep working on them. My son and daughter-in-law have friends that are pregnant and this will make great shower gifts. Look forward to using more of your patterns. Thanks! Be sure to check out the video, I hope it clears up anything you are struggling with! Download the adobe reader app. It works in that. You have to have it on your ki.dle b4 trying to download and open. God. I really wish your comment box was at the TOP of the comments.whew. that was a ton of scrolling i made the 0-3mo. With a G hook since i crochet slightly tight. They were iny 3inches long. I am thinking i will jump to the next size! Row 9 said to sc in same st turn 90 degrees. I didn’t understand so I watched the video and I didn’t see you turn 90 degrees. Did I mess up? At 11:39, I stop working rows, turn 90 and start working down the side. My God-Sister had linked me your pattern for this since she wanted me to make them for her baby due in a few months. I followed your video on YouTube and found it very easy! I love how they turned out! I was able to make the pair in just under 2 hours. Not bad considering I had my kids bouncing in and out of my workspace. Lovely tutorial and adorable flip flops! I followed the pattern with no trouble and they are super cute! But I made my niece a pair and sent them off, 10 hours away. And they are too small :( The strap across the top is not long enough to stretch over her chubby baby feet. I think newborn would be okay, but anyone considering making this pattern in larger sizes, I suggest getting measurements or adding a few stitches to that top strap so that it will fit! 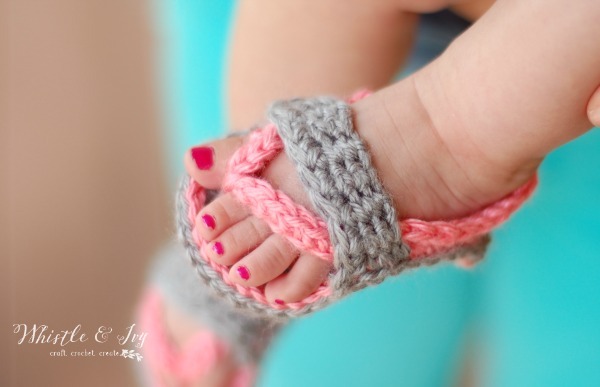 Unfortunately all babies’ feet are different, and people crochet at different tensions. The 3-6 months size fit my niece’s feet perfectly at 6 months old. What is the mm size of your F hook? That should have been put on the list not just the letter as all F hooks are not the same in mm size. I can’t figure out how to tie off on the slip stitch around the sole. Mine looks so sloppy :-( please help! Ya, it’s kinda tough! I kinda go in and out through the stitching on the bottom. I will tie a small knot with the two ends, take one end up and down, and the other end down and up the stitching ( about 2 sts each). Pull it a bit before cutting it so it doesn’t come loose. You will be able to see it no matter what! Thank you! One hook size should be enough!! If you bump up all the sts and use a bigger hook I am afraid they will be way too big! Let me know how it turns out. Was your finished shoe the same size as mine? I tried it and it turned out okay! The sole was a little big, but not WAY too big…big enough that she could grow into them over the rest of the summer. The only part where I increased way too much was in the chains that go around the ankle and around the front. With the strap across the front, I just made it until it was the same size across as the sole; I think I did like 6 or 7 rows of HDC and didn’t go around the edge. I’ll have to keep trying! Oh good! I hope you can get them to work! I love these, just need to mske some for 9-12 month and 18 month. Do you have a way to make these bigger sizes? A friend asked me to make bigger ones. It would take some trial and error, but you could do it. I go up about 2 ch on the foundation for each size up. You will want to work an extra round for the 18 month, to make it wider, so take that into account for your overall length. The rest of the body shouldn’t be too hard! I am working on getting a pattern written for larger sizes if you can wait a few months. Oh good! I am glad you figured it out. I will have to use that tail idea :) Weaving in the ends is my nemesis, haha! Love these sandals!! I thought you were very clear and your pattern along with the photos was easy to follow. I am a beginner crocheter (only been crocheting a few months) and I was able to whip up a pair of shoes in a couple of hours that actually look like the pictures! Thanks so much for sharing this pattern for free!! Thanks so much for saying that :) I appreciate it!! And you’re welcome for the pattern! Do you have a pattern for a 2 year old or a toddler size 5? I don’t, but I hope to get started in making bigger sizes of this pattern soon. I am stuck. I’m doing the 6-9 month size and I have the sole done. Now I’m trying to start my sl st with my second color and cannot for the life of me figure out how to start on top. I looked at your pictures and they are confusing me even more since there aren’t any stitches on the side. Help! If you think of it as just another row, that might help. Join wherever, as if you were going to do extra round of sc, the top facing you, but work sl sts instead, going through both loops. The sl sts will naturally end up on top, due the nature of what they are. I love to crochet. Most of my friends know this so I often get emails and Facebook posts of things they think I should make. I’ve never had the same project sent to me by more than one person until this one! Starting on it tonight. Thank you!! Bethany this has got to be the cutest baby sandals ever. I am struggling a bit here with the pattern. When crocheting the sole, should I be turning at the beginning of each round? There is no mention on the pattern of that. Thank you ahead of time for your help. Thank you Victoria! No, you don’t do any turning for the sole, it is worked in the round. thanks so much for sharing…………cant wait to make them! Just finished these, what a quick easy cute make! My friend is going to be thrilled with them and they only took this evening, a friend sent me the link asking if I could make them for her little girl, and i think I win, as I found your site and your other patterns! I just tried the Mary Janes, but something went horribly wrong….. Must have another go, I think I must have marked a stitch wrong somewhere, cos they look super wonky! Try again tomorrow! Thank so much! So glad you liked it! There is a video for the Mary Janes, so check it out if you are still having trouble. I’m glad so many people are asking you to make the baby sandals because my adult girls are asking me to make a pair for them to wear!!! I need size 7 and 9 adult sizes!!! They are dead serious! this is really important to us considering the circumstances. I would be soo thankful if you could help us asap! And thank you so much for the pattern!! It is soo cute! Sara, I am so sorry for your loss, that is so terrible. For the pattern, the turning is not different. It’s like a washcloth except extremely narrow: work sts, turn, ch 1 (to start the next row) work in the same st, and finish the row, turn (repeat). Does that help? Is it written differently? Why did you think it was different (I would like to change the wording if it is confusing people). The brown and turquoise photo is a 0-3 sized shoe. You can make your strap thinner than that if you want. It means to move up your stitch marker. The stitch marker helps you keep track of whether you are ending the rounds in the correct place, so when you finished a round and come back to you, you move it up so it’s always right below. I would love to have an adult pattern when you get it done. These look so comfortable to me. I would use them as a house shoe and around the house. I need something soft on my feet. Thanks for the effort to make larger sizes. God bless you. I suspect you are doing your slip stitch on the wrong side of the sandle if it ends up more on the side than the top-try turning your sole over and doing the slip stitch from the other side. The right side of the sts should be facing up, so yes you are doing them from the underside, it won’t look right. Thank you, Nicole! Thank you! I don’t :(. But I have gotten quite a few requests for a toddler version, so I will have to see what I can do! I am having trouble getting to step 3. My sole looks decent, but I am a little lost. Are there any images of the steps? Thanks! yes, at the bottom of the pattern. The pattern directs you to which photo to look at. I prefer reading a blog post along with photos to video. I’m sure I’m not the only one. In fact, I wouldn’t have seen this if it were on video, as I tend to skip right over those. Anyway, thank you for the cutest pattern ever! I may just go out, buy what I need to try this and learn to crochet, starting here!! At any rate, I am sharing so that others who do crochet can try your idea/pattern out!! Thanks so much, haha! You should :) And you are welcome! Thank you so much for sharing your pattern! I can’t wait to make them. They are adorable. Sometimes it is nice to find a quick project. What they say is so true about people that crochet, being that they are givers. Me being one of them. I love making things and giving them as gifts! I LOVE these!! I am new to crochet….and am also a new aunt!! My niece was born a little over a week or so ago, but before she came I wanted to first learn crochet (I have been a knitter for several years) and then make her baby booties, blankets, whatever! I have found some great tutorials on youtube but haven’t gotten to the point of actually working on a project. I have found that crochet is much much easier and faster than knitting. Plus…there’s only one needle!!! I think that might be my most favorite part LOL. I just bought a set of Tunisian crochet hooks with the cable and can’t wait to try them out on a larger project. Thank you not only for posting this, but making it free! Thank you!!! Thank you! I think I am going to pick up knitting this fall, so I hope I can make the transition smoothly, haha! I have never tried Tunisan, but my friend does it, and I LOVE how it looks. My sister shared these and wondered if I could make them for her youngest granddaughter. Adorable!! I made them exactly as directed, but mine are only 4″ for the 6-9 month. I’m going to try a larger hook with the next pair. You did a great job on the directions! Oh my goodness, the cute is killing me! You work through both loops, and they will look like they are on top. Cuteness!!! I just made these and they turned out so cute!! And I consider myself a beginner…good job Bethany!!! And Thank YOU!!! Thank you!! You are welcome, I am so glad you liked the pattern! I am soo a visual learner… I noticed that you had videos of the Mary Janes is there any plan to do a video on these? I made these flip flops. They are so easy to make! They are so cute I have made them for friends. I can make two to three pairs a day! Thank you Jessie :) I appreciate your sweet comment! Well, they are adorable. But I have a hard time looking at the sandals because my eyes keep going to the cute little toes! Thank you for sharing these!!! Each size has strap pattern instructions after step 6. You will work them through both loops of your last row. Feel free to email or FB message me a photo and I can take a look. You are very welcome! I am glad they worked well for you! Thank you! I am sure that I will be able to finish it now. It falls out? You are working in the st from the previous round. I would trace the child’s foot size and then use those measurements with the sizes provided to determine a gauge. Then adjust the largest pattern to fit. 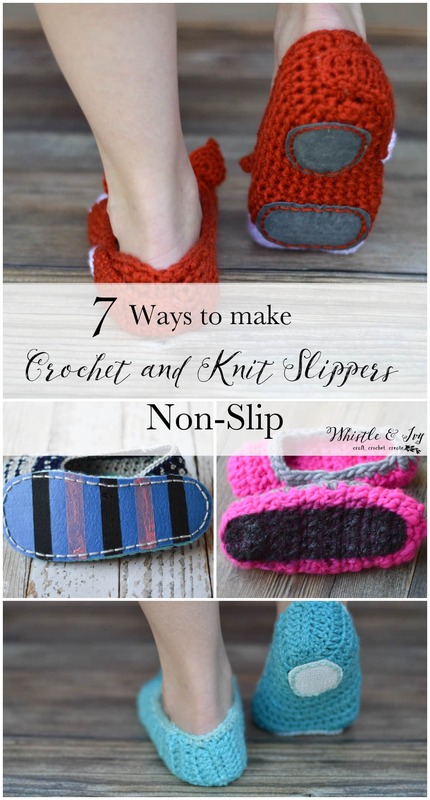 That’s what I have done in the past for slipper patterns that my older daughter has liked and I could only find in kids and had to adjust to adults. Hahaha! That is awesome :) You are welcome! I add 2 chains on the foundation for each size up for length, but you might want to make it one row wider, so take that into account for your length. Hahahaha! Thanks! Did you pick up on the hint ;)? yes i did, waiting on her to find something to measure the baby’s foot with. (I couldn’t believe she doesn’t have a tape measure, guess that will be a purchase I will make for her) She lives away from me, so can’t measure it myself Can’t wait to get started. It is an increase. Just like a hat, you have to work more than one stitch together so that your piece gets bigger and doesn’t turn into a tube. So for step 2, you will work 2 sts together in the next 3 sts; 7 up the side, one st in each, then for the toe, you work 2 sts together in the next 5 sts. The step after that is an increase as well, but you are working a single sc in between the doubles. You repeat the sequence inside the parentheses 3 times (and 5 times). NOT the whole step, just the parentheses. Oh my! I’m not good at all on crochet, I go as far as doing chains, but with this project and a baby niece of almost 2 m.o. I’m willing to learn! Wish me luck and thanks again for being an inspiration! Thank you! Good luck! I will try to help if I can, just let me know. Bethany, these are adorable. I have a cousin who always asks “can you make this” which give me challenges, I usually make blankets. I’m almost done but don’t understand how to/where to put the toe piece, does it attach through the 18 chain (6-9 month pattern) or does it just go over the chain? Also, does the toe strap go right next to the 3 sc or a few stitches between. Thanks for the pattern and thanks for your help. Thank you! The strap goes over the chain (thong piece), and I place it a couple sts above the 3 sc on the side. Sew it on with a yarn needle, on the sides. I have a women’s loafer pattern, and use the same sole base for all my patterns, you can use it as a guide! Hi, i was hoping to try and make these for a friends baby, when i was looking at the pattern, in step 5 it says Sk 9 stitches. I was wondering if this means skip 9 sts? Yes, sk is a crochet abbreviation for skip. I really love your pattern. I’m work if on the 3-6 month size and I’m having difficulty with direction #6. Am I somehow meant to attach the back strap to the heal as I sc? I may be a bit dim but this part is really throwing me off. Thanks! No you are just working sc in each st, the sc and chain sts you have already made. Did you look at the photos? I did look at the photos and the heel and strap look attached to each other. I’ll try again. Thanks. You’re right, it does kinda look like it’s attached. But it’s just sitting on it. The strap is separate so you can pull it over the heel and keep the shoe on baby’s foot. Let me know if you have more questions! Those sandals are so adorable, I wanted to thank you for sharing this. My mom is great at making things like that. I am sharing this information with her because I have a four year old daughter that my mom wants to make a pair for. And when she is finished with making them, I’ll send you a picture. Thank you again. I already have one flip flop made! So, so cute and fun to make! Just a couple of things…..the pattern for the 0-3 months, step #3 does not include the finished instructions as the other sizes do, “Sl st and tie off”. Not too much of a big deal, but I didn’t find this until I read the other sizes. Also, on this step, I am having difficulty with tying off after the 7 sc in the 7 sts. Any way that I try, it doesn’t appear to blend in ….. it still looks like Iittle lump on the side of the sole. Can you give some detail on how and in what stitch to you do the sl in? Do you have a picture of what the bottom of your flip flop looks like? Are you talking about the finished the sole piece? I sl st into the next st and it blends nicely for me. Is that what you mean? Yes, I was just curious to see if the bottom sole looks the same as mine. When I sl st after the sc in the last 7 sts (step #3), I get a little hump on the side. It’s just not blending like yours does. I will have to fiddle again. It’s definitely a great pattern and cute little flip flop! Thanks for sharing! Hm. It should look smooth. Why don’t you take a quick picture and send it to me, maybe I can see what the problem is. I am posting your picture on my blog this Tuesday, with a link over to you. I hope you don’t mind me doing so. Please contact me before then if you would NOT like me to share. My readership likes crafty stuff, so I thought it would interest them. Thank you so much, the flip flops are just super adorable! Thank you! Yes, that is fine :) Thanks for the link love! How do I increase to make a larger size. My grand daughter is 6 months old therefor I would like to make a 6 to 9 month shoe. These are precious and I know my daughter would love all your shoe patterns. Also ad one who loves to crochet I started my own eyes shop but had no luck. Didn’t sell a single item. What is your secret. How do you advertise. I make things on a made to order basis right now but I would love to sell more. Thanks for any advise you could give me. The pattern already includes a 6-9 month size. And I don’t sell much either! I think it just takes time, the market is rather saturated, unfortunately. You can market locally, and set up a Facebook page, but I don’t have much advice in that arena. Happy crocheting! Hi, I would like to try and make these too. I do not crochet, so can you please tell me what each of the codes stand for, like sc, hdc, sts, sl sts, ….. Sorry I’ve never done this. Super cute!! How would you change this for 12 months? I’d like to make them for my granddaughter but she’s almost a year. I tried to figure out the changes but couldn’t. I didn’t see a clear pattern as the sizes changed. The picture shows the slip stitches all around the sole however I am not seeing in the 0-3 month pattern where you use the contrasting color to do the slip stitches. I read that you use the first color for the slip stitches and then fasten off and continue. Can you clarify this for me?? Thank You. No, you use your second color for the sl sts. 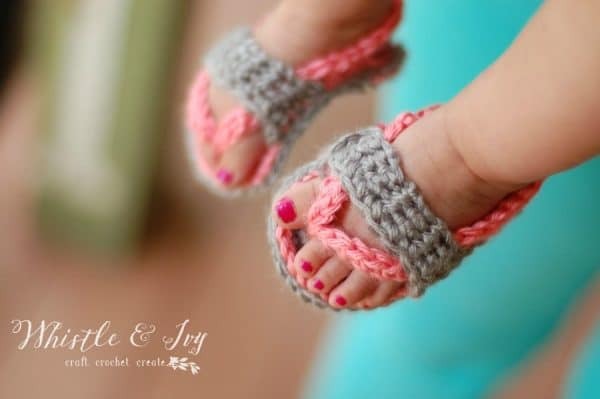 I am going to learn how to crochet just so I can make these adorable flip flops. Haha! You should! I love to crochet, it’s so much fun :) Thanks! can I make one small suggestion? My other sandals are double-soled, but since this one doesn’t tie around the ankle like my other ones, they stay on baby’s feet better with one layer. Thanks for the suggestion, though! I love this pattern and thank you for sharing it! I plan to make a ton of these for my little girlie on the way. However, I struggled with the toe piece – Direction number 4. I was able to do the first part – on size 6-9 months to chain 8. But then I am not sure where I should be Skipping stitches or or single crocheting in before chaining another 18? Where is this referring to? Because from what I can see I should not attach to the toe part until the end when doing the construction steps. Can you help me at all with this? Thanks and you’re welcome!. So for the body, you will be crocheting through the slip stitches you made. So if you look at the gray ones, I made the soles in gray, and then I sl stitched around the whole sole with purple. From here, you will be joining a second piece of yarn, and working through the sl sts. So you join through the sl st at the 8th st to the right of the heel, then you sc 2 through the sl st, working your way around the shoe. The back strap is not connected to the sole, it is a strap across the heel, so you will sk 10 sl sts, and then sc in the next sl st, thus making the strap around the heel. Same thing for the toe piece. It won’t be connected yet, but work your chains (just like the heel), and attach them where you begun, it will just loop around and not look like much, but when you connect it after the shoe is finished, it will look like a flip-flop. Does that make sense? For the sl st, you can join anywhere. After you have worked your row of sl sts and tied off the yarn, find the center of the heel (I like to lay my hook so it lies across the line in the middle of the sole) and find the middle sl st. Then, found 8 sl st to the right and join there. Yes, you are sl st around the sole in your second color. I will try to get pics up soon. Thank you! I followed it much better when you explained it here and it worked! YAY! Oh Bethany, I see where I went wrong now….I committed the first sin in reading a pattern….I did not read it through to the end….I kept trying to attach the chain in Round 5 to the center of the sandal (to make the toe piece connection). I sincerely apologize for my ignorance, and appreciate your prompt, and more detailed instructions with photos! Thank you so much! Thank you so much!! And you are very welcome :) Thanks for taking the time to leave such a nice comment!